When website owners decide to purchase a Virtual Private Server for their websites, they are often concerned about its configuration. If upgrading from a shared hosting account, a user may pick a too weak server and put it down right after the website launch, as virtual servers do not have such strict limits on resource usage set, as shared ones do. If someone is purchasing a VPS at once, without having the site actually tested elsewhere before, its owner may pick a wrong software configuration and not even have the website started (we don’t think that error pages hosting is funny or profitable). A fair question is “Which VPS configuration to choose to provide my website with the most optimal hosting solution?” Here go the answers. Nowadays there are two most popular virtualization technologies – Xen and OpenVZ. We have already talked about both and compared them, so to make the long story short, we are just going to tell, that Xen technology supports full virtualization and a wide range of operating systems. It does not have any inter-carrier shared resources, what makes the work of each server autonomous (there is even a separate /swap partition created under each virtual machine). OpenVZ is a specialized Linux-solution, which is faster but it lets the carrier share resources (RAM/CPU), what may cause overload issues to both virtual and physical machines. On the other hand, resource sharing allows OpenVZ users to get temporary RAM-boost – so-called burst-RAM. When one speaks about comfortable and user-friendly hosting, they first of all mean the control panel. A control panel is very important for site management, so it’s easy to imagine how essential it is for administration of the entire server. VPS vendors usually provide control panels on a partnership basis or as license resellers. This allows them to both get licenses at lower cost and provide control panels either for free along with the VPS’s or for a significantly smaller price. Leading VPS control panels are DirectAdmin and cPanel. cPanel has a VPS-optimized build which may be a perfect solution for those, who strive for automation. There is one more panel, frequently offered by VPS vendors – Webmin – free open source server/account management software. NOTE: cPanel is a resource intensive panel compared to Webmin or DirectAdmin. The former requires 256 MB RAM for full functionality, while the latter ones – only 64 MB. 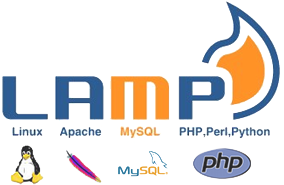 The generally installed software-bind is known as LAMP – Linux + Apache + PHP + MySQL. This configuration works well with any kind of sites and is recommended for use. Some scripts and serious web-projects, however, require different pieces of software. The most frequently substituted element is Apache – the webserver. Users install LightHTTPD or Nginx instead, to improve the web-content processing speed. It is a known trick, so many VPS vendors offer either blank servers (without software and sometimes even the OS preinstalled) or custom software set installation. NOTE: LAMP is the most recommended software set for cPanel-based servers, as cPanel allows to manage all services via web-interface. One of the best Linux distros, which has proved its reliability is CentOS, so no wonders it is one of the most frequently setup default OS, provided on VPSes all over the market. The vendors, however understand that the users are interested in customization, so they offer other distors, too. The most popular are Ubuntu, Fedora and Gentoo. 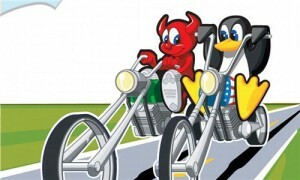 Additionally, many offer FreeBSD (Unix). NOTE: Though FreeBSD is faster in some extent, it is not recommended for use with cPanel, as far as FreeBSD may start malfunctioning after automatic cPanel update. 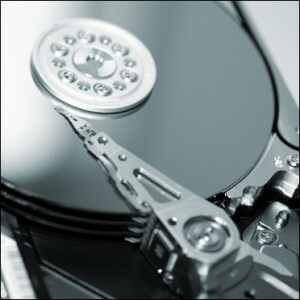 Say, you have picked a host you would like to get a VPS from. You studied the plans they offer and their pricing seems to look good. Before you make your final decision and signup, you need to match all the details of their plans and pick the most optimal solution for you website. Pick the desired disk space quota, we consider it 50 Gb coming with 512 MB RAM -> this means you can have cPanel installed without any problems -> this in turn means, you need CentOS, or any other Linux distro. 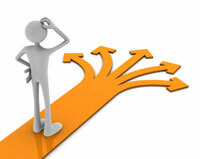 The choice of cPanel also means, that you may have LAMP configuration set freely. Finally, virtualization type -> you have enough RAM for your server functionality, so no need in burst-RAM seems to emerge. On the other hand, 50 Gb of disk space is enough to share 1 GB for swapping. Imagine you are a starter. You need the simplest VPS and you get it: 20 GB of disk and 256 MB of RAM. Not much to host a site, which would beet up Youtube or Facebook, but it’s your own virtual server! Let’s go: as there is not much RAM you may forget about cPanel -> this enables you to choose FreeBSD as an OS and Nginx or LiteHTTPD as a webserver. We seem to be getting a pretty light server. To finalize it, we choose OpenVZ to save the disk space and be able to temporarily boost our RAM up. We need to admit, that the drafts provided were made up without sites differentiation in mind. We took it for average, to show how this analytic procedure should flow and what the choice of this or that configuration should be based on. There are, however, many sites and many site-building technologies. Each of them has its own peculiarities. This is the very point, were are going to tell about next time. So, await Part 2 released soon. There is a correspondent discussion raised on our Facebook page. Feel free to take part. If you have already decided how to configure your VPS and ready to start, take a look at the plans we offer at SiteValley. But if you think a VPS is not enough for you, feel free to check our offers for USA dedicated servers.